Danny Ainge, and many other NBA executives, missed out on taking Giannis Antetokounmpo in the 2013 draft. Kelly Olynyk was chosen 13th by Dallas and traded to Boston, while Giannis was picked 15th. Olynyk never quite worked out as hoped for the Celtics and Giannis has turned into a true NBA star. Danny has taken harder looks overseas since. 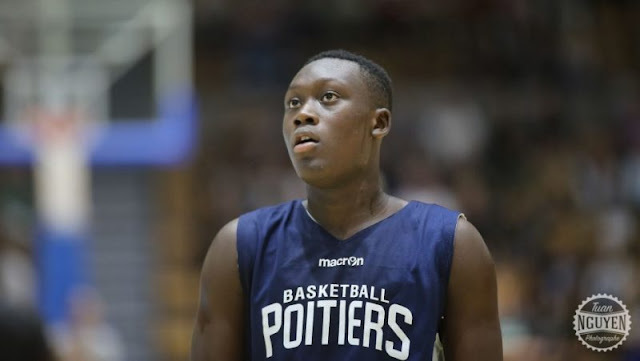 Sekou Doumbouya had one of the most impressive performances you will ever see at the 2016 FIBA U18 European Championships last December. According to RealGM, the teenager posted averages of 21.6 points and 11.1 rebounds per 40 minutes against players almost three years older than him, as he was yet to turn 16 at the time of the tournament. That was possible because despite his age, Doumbouya already has an NBA-caliber frame, listed at six-foot-nine and 210 pounds by Draft Express, so he’s able to not only compete above his age group but even dominate from a physical-standpoint, as France used him as a big man who made most of his plays close to the basket. It is amazing that this young man can play this well at 16 and 17 years of age. He is 6'9" and may still be growing. Scouts for NBA teams usually don't have the opportunity to view European talent at length, and there is always the question of whether they can adapt to the American pro game. But Sekou is big, athletic and very talented. And did I mention he just turned 17? He is worth a serious look. Oh, and by the way, The Lakers pick is now potentially slotted 5th for the 2018 draft. The Celtics may just get that pick yet.